When I first spied this stick at the Maybelline display in Boots, I was not overwhelmed by any strong longing to try this product. In fact, I was shocked to see that a powerhouse like Maybelline would actually release a foundation in stick format (the indignity!). I had such low hopes but I was incredibly curious to try it out so I picked one up on my adventures. It looked like Pan Stik to me (anybody else remember that stuff? I'm making all kinds of 'eugh' faces now as I think about it!). I picked the shade 120 in Classic Ivory, but there is a paler shade also available. My foundation has been shiny as hell this summer and even though I like dewy look from time to time, there are also times when I yearn for a matte finish and I was eager to test the anti-shine properties enshrined in the name. 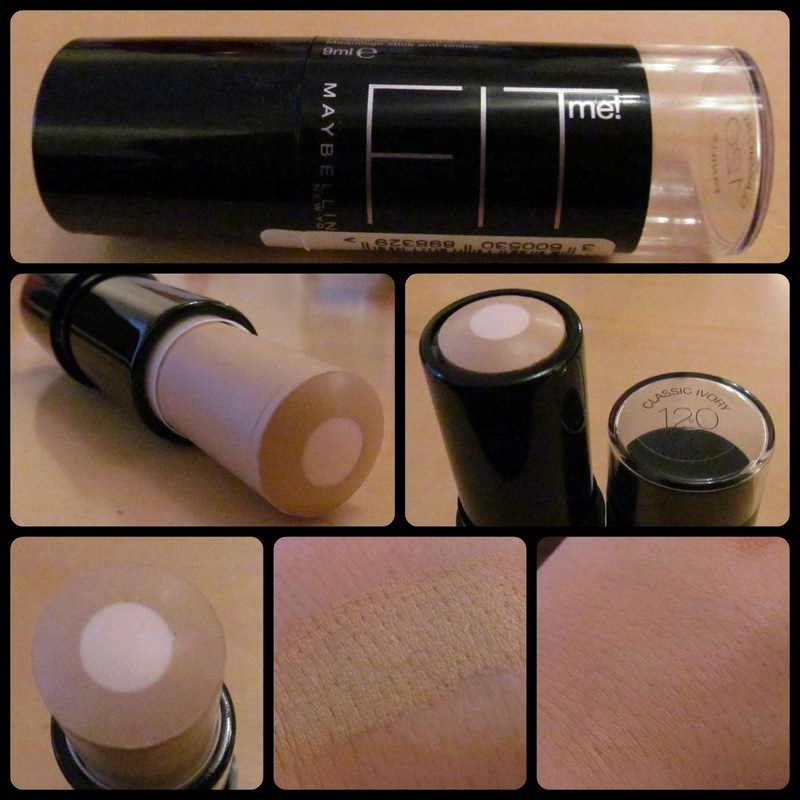 I really liked the Maybelline Fit Me foundations, powders and concealer that I had already tried, and this Anti-Shine stick is the latest addition to the Fit Me range. The kind folks at Maybelline allege that this Anti-Shine stick is a moisturiser, primer and foundation all in one little tube. Quite the feat for one little product, and alot of hype to live up to. The actual structure of the product itself is quite bizarre- the foundation itself surrounds an inner core of lightweight, oil absorbing powder. The texture of the product is remarkably light- it does not feel heavy at all, and it blends and applies like a dream. The texture is quite light and fluffy, and for that reason, I would not recommend this to anyone with dry skin because I reckon it might skin to any dryness or lines or wrinkles. I would say the coverage is medium to full but I have found that it needs to be reapplied after 4-5 hours because it kind of just disappears. Given the format of the foundation in stick form, I don't think this is the most onerous task, and it certainly would not put me off this product because I really like the finish and effect. I was so so highly skeptical of this, but this is actually a great product- much as it pains me to admit it almost because of how low my expectations were. Maybe I was snobby because of the stick format, but I would definitely recommend this to anyone with oily skin who is looking for a matte finish foundation. This will set you back €13.49, so if you can banish all memories of Pan Stik and embrace this, I think you might also be pleasantly surprised. Sounds fab - I have one waiting in my 'to try' pile at home! I so thought it would be like pan stick but it sounds fab!